Motherhood is a blessing. It is also a time when a woman’s body readjusts itself to give the baby enough space to grow. And that may cause the muscles in the midsection of your abdomen to get pulled apart. 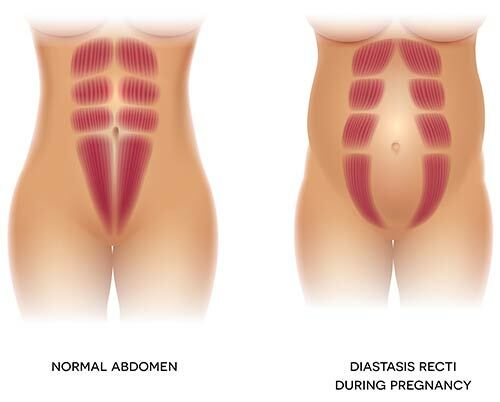 This condition is called diastasis recti (diastasis – separation; recti – Rectus abdominis), and it may lead to herniation of abdominal viscera, cause difficulty in vaginal birthing, breathing, and moving, and make you look pregnant long after childbirth (1), (2). To treat diastasis recti, you must exercise targeting the deep abdominal muscles and the pelvic floor muscles. Do these 10 best diastasis recti exercises at home daily to see a visible change and feel better. 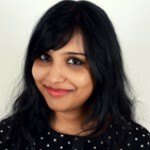 Read on to know about the symptoms, causes, and exercises to treat diastasis recti. Swipe up! Diastasis recti is caused due to the pulling apart of the abdominal muscle, rectus abdominis. Rectus abdominis is the muscle that we commonly call the “six pack”. The two parallel muscles run vertically down on each side of the abdomen and are separated by a band of connective tissue known as the linea alba. When the baby starts growing, your body readjusts itself as the pregnancy hormones help relax the muscles. This may cause the rectus abdominis to get separated, leading to diastasis recti. The rectus abdominis also helps hold the internal organs in place. But due to diastasis recti, the internal organs – like the bowels, uterus, etc. – are only held by a band of connective tissue, which causes the organs to bulge out. Mostly, the diastasis recti heals itself after childbirth. But in many cases, it doesn’t heal and may need exercise therapy. In fact, diastasis recti can occur in newborn babies and men (due to incorrect exercise technique). Before we start with the exercises, here are the main symptoms of diastasis recti. Now that you are aware of the symptoms, let’s quickly see if you really have diastasis recti. Here’s how you can tell. Lie down on your back with your knees flexed, and feet flat on the floor. Lift your head slightly and place two (or three) fingers on your belly button. Press your fingers lightly and see if there’s a gap. If there is a gap, you have diastasis recti. NOTE: Consult your doctor before concluding that you have diastasis recti or doing any of the following exercises. If you have diastasis recti, and your doctor gives you the green light to go ahead and do some core strengthening exercises, the following exercises are for you. Lie down on a mat with your knees flexed, and feet flat on the floor. Keep your hands by your side, palms facing the ceiling, and rotate your hip up toward your face. Engage your core by tilting your pelvis up so that your entire back, till your tailbone, is against the floor. Hold this pose for a second and then relax. Lie down on a mat. Keep your knees flexed, and feet flat on the floor. Keep your hands by your side, palms facing the ceiling, and toes pointing up. This is the starting position. Slide your right heel and straighten your right leg. Hold the pose for a moment and then slide your heel back to the starting position. Do the same exercise with your left leg. Lie down on a mat with your knees flexed, and feet flat on the floor. Keep your hands by your side, palms facing the ceiling, and your spine in a neutral position. This is the starting position. Make a “scooping” motion with your leg by lifting your heel off the floor, flexing your knee, and then placing your foot back in the starting position. Repeat the move 10 times before switching legs. Lie down on a mat and keep your knees flexed, and feet flat on the floor. Keep your hands by your side, palms facing the ceiling, and your spine in the neutral position. This is the starting position. Keeping your knees flexed, lift your right leg off the floor and then bring it back to the starting position. Lie down on your back. Keep your knees flexed, feet flat on the floor, hands by your side, and palms facing up. Place a pillow between your legs, and keep your spine in the neutral position. Press your knees together and squeeze the pillow. Hold this pose for 3 seconds. Relax. Lie down on your back, flex your knees, and keep your feet and palms flat on the floor. Push your pelvis down so that your lower back is against the floor. This is the starting position. Exhale, squeeze your glutes, and lift your hips toward the ceiling. Lift your core a little higher than the regular bridge exercise. Hold this pose for 3 seconds and then slowly lower your back to the floor. Keeping your arms extended, lift them off the floor, above your head, and bring them almost all the way to the ground. Pause for a second and bring your arms back down slowly to the starting position. Lie down on your back. Flex your knees, and keep your feet and palms flat on the floor. Lift your right leg off the floor and bring your right knee close to your chest. Bring it back to the starting position slowly. Lift your left leg off the floor and bring your left knee close to your chest. Lie down on your back, flex your knees, and keep your feet flat on the mat. Take a resistance band and place it just above your knees. This is the starting position. Exhale, engage your core, pull your knees apart, and then bring them back to the starting position. Inhale as you bring your knees back. Lie down on a mat, keep your legs together, palms flat on the floor, and look up at the ceiling. Lift both your legs and flex your knees. This is your starting position. Straighten your right leg and draw two small imaginary circles with it. Flex your right knee and bring it back to the starting position. These 10 exercises will help strengthen your core and get your ab muscles back to normal again. You should also know which exercises you should avoid. These exercises will weaken and worsen your condition. Here’s the list – take a look. This means that you should avoid traditional core-strengthening exercises. But apart from doing the right exercises and avoiding the regular core strengthening exercises, here are a few other things you can do to improve your condition. Flex your knees and roll out of bed. Place a pillow to support your back while sitting. These extra precautions will protect you from the following complications. Diastasis recti can be treated and cured if you start exercising at the right time. Maintaining good posture, taking precautions, and getting regular check-ups done are key. Do not rush your recovery. Take your time to build strength, and you will get rid of the “mommy pooch” faster than you think. So, talk to your doctor today and get to work. Take care!